SOOOOOOOOOOOOOOOOOOOOOOOOOOO as most of the regular know I've been on the hunt for a compact, portable, clean, 0 breakup, amp to run with my stereo rig. I discovered the ISP Stealth UL which seems to be the only amp that runs 60 watts at 8 ohms. Perfect match for my V30 stereo cab. So I ordered it! Took a few weeks to get here but it's PERFECT! It's around 2 lbs, and is by far one of the best SS amps I've heard. Apparently they developed a new type of power amp, I think class H? Not really sure but it sounds amazing and is extremely transparent almost to a fault. Some of my guitars with not so great sounding pickups sound, well, not so great. On the other hand the guitars with good pickups sound amazing through it. I really appreciate the transparency. Of course I have some issues with it Cause you all know me by now. - The corners of the exposed heat sync are SHARP!!! It's only a matter of time before I scrape up some of my other gear or cut my fingers trying to pack it up. I'll need to find a small baggie for transport as it will for sure mangle up cables or other things that might be stored with it. - I wish it had a power switch. The amp was intended to be used on pedalboards so has to be plugged and unplugged to turn power on/off. It's all good, but of course makes a popping noise when doing so. - Kind of wish it had a mid knob. I feel that one of my darker/woodier sounding guitars could really have benefited from a mid boost. My LPJ, Tele and Washburn monster sound great though. - It came with a faulty power supply. I contacted ISP and they promptly set me on the correct path. I ended up taking it back to the store as they will ship it back for repair/replacement for free. I did get to play the amp for a day so I know it will be worth the wait to get it back. Quite impressed with ISP support so figured I would give them a shout out. Sorry I got no pics as I took it back to the store yesterday, but of course I'll post em when it's returned! Is its 60w ss power enough? Last edited by Les Paul Lover on Tue Nov 14, 2017 10:54 pm, edited 1 time in total. A lot lighter and easiet to move around than a Twin Reverb, and cleaner too. Awesome. Class H isn't new, just uncommon. Never heard of a guitar amp using it. The output transistors run in normal Class AB, but Class G and Class H add a variable power rail. Can put out a lot more power for relatively short bursts, allowing for a smaller power transformer and smaller heat sinks. I looked up the specs for yours. 90W into 4 ohms rms, peak power 180W. For most amps, "peak power" is a bogus made-up figure. Might give more power for microsecond bursts, but not really audible. 60W rms into 8 ohms -- doesn't list peak but it should be at least 120W. But for Class G and H, peak power is a real thing. Hard picking, hard strumming makes big transients and Class H can reproduce those without clipping or compressing. If you were playing fuzzy compressed doomer sludge it would pretty much stay at 60W (still good for such a tiny box). But for clean it'll punch way above its rms rating. A Twin Reverb is 85W rms at 5%THD. That's a fairly subtle amount of distortion - you hear it as "fatness" rather than "dirt". But in the hifi world, 5% is laughably dirty. They measure in fractions of 1%. The ISP specs say at 50W into 8ohms the THD is 1%. If you crank a Twin up pretty loud and then dig in with your pick, the transients get dirty and compressed. That's the muddiness and lack of clarity Boy_Narf heard when he tried Twin Reverbs. Last edited by Rlw59 on Tue Nov 14, 2017 11:04 pm, edited 1 time in total. A lot of us might find the ISP kinda sterile and stiff by itself. That's why they market it as something you can put on your pedalboard. It'd be brilliant if you're using things like Tech 21/Sansamp preamps or modelers. Yes 60 watts is enough as it doesn't breakup. Everyone is trying to mimic tubes these days, so solid state doesn't really stay clean anymore. I had it up to a painful level crystal clean through a single v30. Happy! Some might call it sterile, but to me it's a sparkly pristine hi-fi sound (lack of grit/hair typically is considered sterile). The low end response out of it is enormous, and it sounds even better running at full power through my 212, or bass cab. Very impressed, especially for the price. 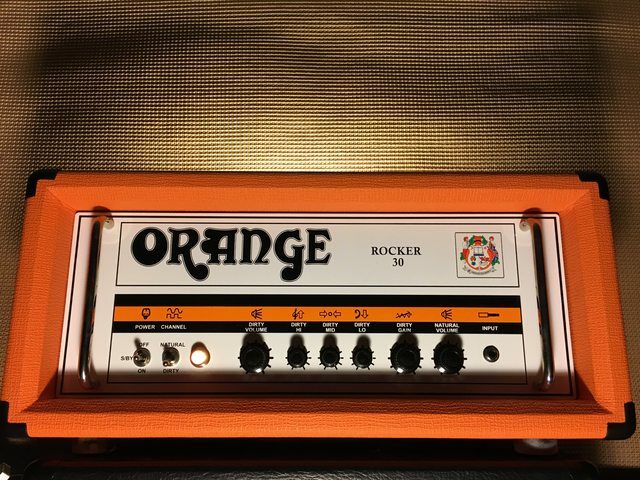 It has a +12 boost (I believe) in the front so it can be run with a direct guitar signal. I'm sure a preamp could make it more "tuby", but I don't want tubes. They brekaup, and are warm, and are gooey, and are hairy. NO! Not for this! NOT FOR THIS! I had my eye ball on the Duncan Power Stage 170, but it runs at 85 watts @ 8ohms, and I was worried about putting a bit too much pain on a single V30. If the ISP ends up coming back and indeed is functioning as designed with it's high pitched ramping squeal, I will return it for the Power Stage 170 and of course be careful with the master. Technically if the amp puts out 85 watts at 100% volume, then running it around 40-50% should be perfectly safe. I just remembered I've been running the 400 watt RMS woofer in my car with a 500 watt RMS amp for a decade now. Not issues with it, as the gain is set around 50%. Buck from ISP thinks it's a faulty power supply as they were not able to replicate the squeal at their factory so I'm hoping for the best. You might consider running 2 different speakers in your stereo cab. V30 for the dirty side and an EVM12L or Eminence Delta or something in that vein for the clean side. More than enough power handling, less compressed, less colored. New EVM's are stupid expensive. But used ones are easy to find. They're indestructable and recone-able so just about every one they ever made is still out there. If you shop carefully $100 is very doable. SIGN ME UP! Then i can cut it out with all this other brand nonsense haha. Well well. Got the amp back, the tech decided in the end just to ship of the power supply instead of the whole package, and while the squeal is better it's still there! Buck from ISP has been very helpful, so my next step will most likely be sending it direct to ISP and bypass the store tech. Second amp does the same thing, so I've put that cash towards the Power Stage 170. The PS170 just showed up and I'm pretty happy with it. I'm running it into a single V30 at 8ohms and being careful with the volume, but at 50% gain it's more than enough for practice. I turned it up to around 3/4 for a few seconds and it's plenty loud! I will say that I think the Stealth UL was cleaner, as the PS170 seemed to become a bit harsh at higher volumes, but It's dead quiet compared to the UL. Very happy! It also has a powerswitch which the UL did not, and it's built like an actual brick. Crazy build quality. All metal housing, no wiggle on the knobs. Very impressed! Only thing to note is that the fan is louder than I'm used to, but I doubt I'll ever hear it while playing or recording. Thanks Seymour Duncan! 3 year search has come to an end. Ahhh feels good. Fingers crossed that this amp won't let you down. But you know the road never ends, don't you? Gets a little harsh at higher settings into an 8 ohm V30? Well, I understand the reasoning of why you want to stick to V30's. You like them and know them, and they work great for your dirty amp.